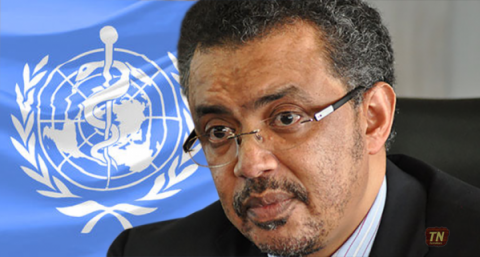 KNCV congratulates the new Director-General of the World Health Organization (WHO), Dr. Tedros Adhanom Ghebreyesus, with his election and looks forward to a fruitful cooperation in the fight against TB. He takes over from Dr. Magareth Chan, who had been leading the WHO since 2007. In the coming years the world has a chance to step up towards elimination of TB and we look forward to working side by side with WHO and the newly elected DG. Dr. Tedros is internationally renowned for driving the health care reform in his home country Ethiopia and an international champion for health system strengthening in developing countries. As Minister of Foreign Affairs, he led the effort to negotiate the Addis Ababa Action Agenda, in which 193 countries committed to the financing necessary to achieve the Sustainable Development Goals. He has also served as chair of the Board of the Global Fund to Fight AIDS, Tuberculosis and Malaria. KNCV has been working in Ethiopia for almost a decade and has been instrumental in the progress made in the prevention, diagnosis and treatment of TB in the country. KNCV has lead TB CAP and TB CARE I projects since 2008 (funded by USAID). Currently, KNCV is the lead partner in the USAID Challenge TB project. We focus on improving quality of TB services, both in terms of access and service utilization as well as patient centered care, increasing case finding through targeted active case finding and diagnostic capacity, and enhanced sustainability and strengthening health systems at all levels. In collaboration with the National TB Program of Ethiopia, KNCV also piloted the integration of Childhood TB within the overall Integrated Management of Newborn and Childhood Illnesses program. When scaled-up to the rest of the country, this strategy will definitely contribute to a reduction in newborn and infant mortality from TB in Ethiopia.